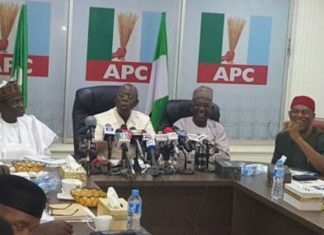 All Progressives Congress’ (APC) efforts to reconcile members aggrieved over its recently conducted primary elections may have hit the rocks, THISDAY findings have shown even as the National Chairman, Mr. Adams Oshiomhole, called off the bluff of Governors Ibikunle Amosun and Rochas Okorocha of Ogun and Imo States respectively yesterday, saying the party would win their states in spite of their belligerence. Oshiomhole had set up six reconciliation committees for the six geo-political zones with a mandate to reach out to aggrieved aspirants in the states and reconcile them with the party. 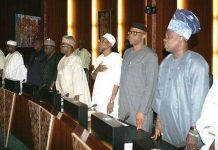 However, with a few days to the end of their two-week assignment, the committees appear to have ran into troubled waters as most of the aggrieved APC members have refused to be appeased and are bent on working against the party using alternative platforms to actualise their ambitions. THISDAY gathered that the reconciliation efforts in the party’s four most troubled states – Imo, Ogun, Ondo and Zamfara – have hit a brick wall. Okorocha, Amosun, Rotimi Akeredolu (Ondo) and Abdulaziz Yari (Zamfara) are the most aggrieved governors elected on the platform of the party, whose spat with Oshiomhole contributed largely to the setting up of the reconciliation committees. But despite the peace efforts, the loyalists of Okorocha, Amosun and Akeredolu have since pitched tent with other parties rather than remain in APC, where their fate in the 2019 elections have been sealed with the closure of the substitution window. 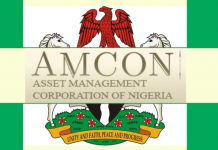 While Okorocha’s son-in-law, Mr. Uche Nwosu, dumped the APC and picked the gubernatorial ticket of the Action Alliance (AA) in order to realise his governorship ambition, Amosun’s preferred candidate, Mr. Adekunle Akinlade, and 26 state lawmakers defected to the Allied Peoples Movement (APM) to pursue their aspirations. Also, following the unresolved internal crisis that is rocking the Ondo State chapter of the party, a senatorial aspirant of the party and Akeredolu’s close associate, Dr. Tunji Abayomi, has defected from the ruling party to the Action Alliance. Meanwhile, aggrieved party chieftains in Zamfara State have also continued with their multiple litigations, which denied the party the chances of fielding candidates in the 2019 elections, despite the threat by the Oshiomhole-led National Working Committee (NWC) to deal with members, who fail to withdraw their court cases. 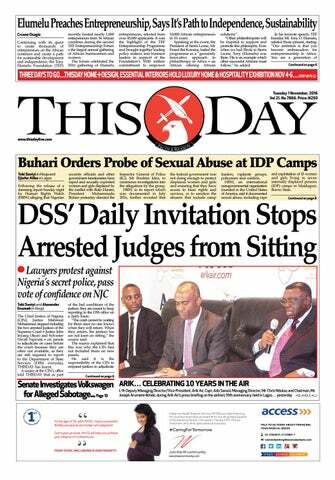 Apart from the refusal of APC members to withdraw existing cases from the courts, THISDAY gathered that some party members have also initiated fresh cases against the admonition of the party’s NWC. For instance, while the reconciliation committee led by Governor Kashim Shettima of Borno State is busy searching for solutions to the crisis in the party in South-west, a gubernatorial aspirant in his state, Alhaji Idris Durkwa, dragged the party to court over alleged manipulation of the primary election. The plaintiff in the suit number: FHC/MG/CS/55/2018 instituted before a Federal High Court in Maiduguri prayed for the disqualification of the winner of the primary, Prof. Babagana Zulum. After listening to the counsel, Justice Jude Dagat adjourned the case to January 17, 2019 for hearing. It was gathered that with the substitution window closed by the Independent National Electoral Commission (INEC), the reconciliation committees were left with no carrot to woo party members who lost out in the primaries. Speaking to THISDAY on the reconciliation efforts, a chieftain of the APC and one of the aggrieved senatorial aspirants in Enugu State, Mr. Osita Okechukwu, rubbished the peace effort, describing it as deliberately ill-time and empty in what they have to offer. Okechukwu, who is the Director General of the Voice of Nigeria (VON), told THISDAY that the party waited until the substitution window had almost expired before constituting the reconciliation committees. When asked whether he and other aggrieved members have been reconciled, Okechukwu said, “The truth of the matter is that they do not have any card on the table; if the party has foreclosed the chances of substituting candidates, what else do we do? Okechukwu also said the reconciliation committee in his zone failed to proffer any remedy on the issue of getting the party to refund the monies spent on forms for those who have valid cases. When confronted with the resistance of the aggrieved party members to the reconciliation move, the National Publicity Secretary, Mallam Lanre Isa-Onilu, told THISDAY that the party would not like to preempt the committees’ work since the two weeks given to them was yet to expire. “It will not be proper to jump the gun and begin to speak on the outcome of the reconciliation. We will wait till they submit their report by the end of the week,” he said. 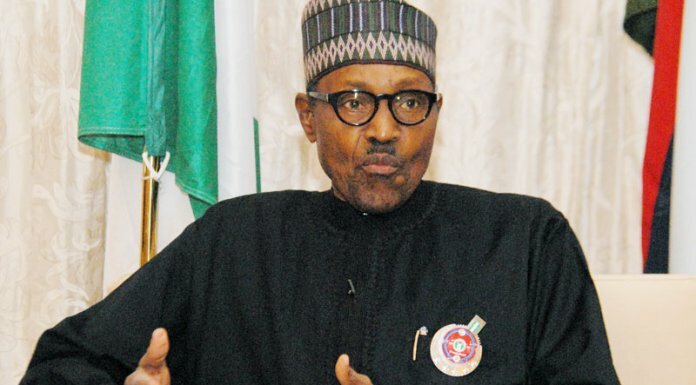 The APC spokesman said that aside from the cases involving some of its governors, there were other issues that the reconciliation committee would address in the course of their assignment. 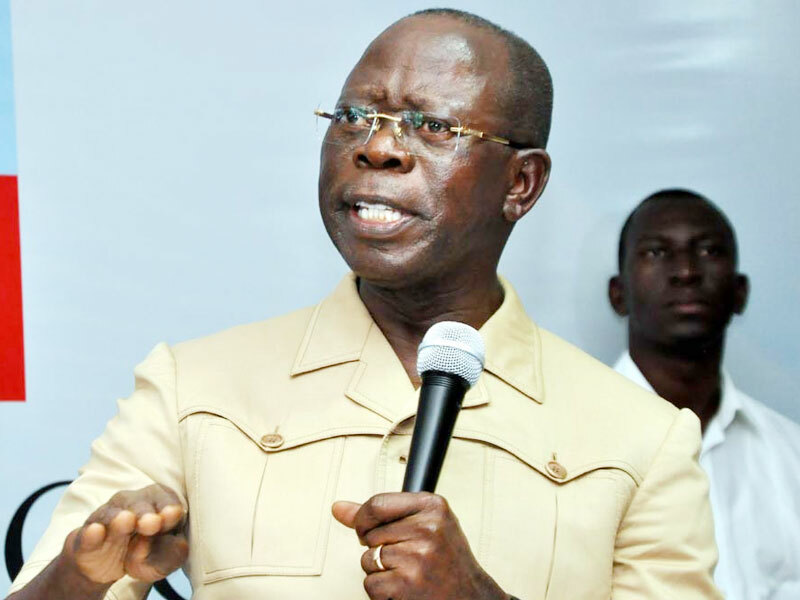 However, while speaking on the party’s reconciliation efforts, Oshiomhole said he was impressed by the outcome so far, adding that the peace committees headed by the governors have interfaced with many of the aggrieved members. “I believe it is working; governors have been helpful, they have been going round the country talking to people. Those who have what I call negotiable grievances, they are sorting them out. But if there are individuals who probably believe that it is either they get what they want or they will port, there is little we can do about that,” he said. Oshiomhole reacted to the defection of aggrieved members to other parties describing it as selfish. He said there is not much the party can do to satisfy those party men who want to have their way at all costs. “There is nothing we can do about it. As I said, Nigeria has to move to a level, where rules are what matter not the power of the person. If you are a big person or small the rules are not supposed to discriminate,” he said. On the defection by aggrieved party stakeholders in Imo and Ogun States, Oshiomhole said, “The real headline today is that we will win in Ogun State, and we will deliver Hope Uzodimma in Imo State. Our popularity in Imo State today are increasing, what we don’t know and Nigerians always make this mistake that once you are a governor, you have electoral value. Oshiomhole has declared emphatically that the party would win Ogun and Imo States without their respective governors – Amosun and Okorocha. He described the governors as poor students of their own history, who had forgotten they lost elections before winning on the platform of the APC. Oshiomhole spoke after receiving the APC women leaders from Edo State and Abuja, who paid him a solidarity visit in his private office in Aso Drive, Abuja. Oshiomhole said, “Those who think our political future is tied to them; they are poor students of their own political history. Some of these people who talk as if they are invincible, they have forgotten that they have run elections in the past and lost until they abandoned their parties and joined us. So if they return back, history will repeat itself. He said, “Vice President Yemi Osinbajo is from Ogun State. The state is one of the most enlightened states in Nigeria. They have a huge history; they are not in a political kingdom headed by one person. Meanwhile, reacting to the statement credited to Oshiomhole that himself and his Ogun State counterpart, Ibikule Amosun are political liabilities who only have one vote each, Okorocha described the APC national chairman as a political liability who is on a mission to destroy the ruling party. He added that the national chairman is a victim of his own actions. The Imo State governor who spoke through his Commissioner for Information, Patrick Nzeh, said that APC had lost no fewer than ten million supporters since the emergence of Oshiomhole as the national chairman.